 Kristen Marie Wedding Collections are carefully crafted to provide you with everything you want on your wedding day, and they are customizable to fit your specific needs. Your investment starts at $3450. Smaller options and elopement packages are available. Portrait Packages start at $295. Why do all your packages include an engagement session? That’s no mistake, my friends. Beyond the obvious things like a save the date photo, your engagement session will give us both a chance to break the ice and work together before the wedding, I can get a sense of your personalities and find your most flattering poses, and you’ll be even more carefree and confident on your wedding day. You don’t have to come prepared with anything other than your outfits—I’ll guide you through the session, and you’ll be feeling golden in no time. Let’s get together to chat! I genuinely believe that if I photograph your wedding, it should be a mutual decision between us. When you’re ready to book, I’ll send you a contract to sign electronically and an invoice for the retainer. Once those are taken care of, you’re all set and the day is reserved exclusively for you! How long does it take for me to get the images? Most wedding galleries are delivered 4-6 weeks after the wedding. I'll send you some teasers during the first week to tide you over and get you excited! Can you recommend other vendors for our wedding? Yes! Please contact me and I'll give you a list of all my favorite local vendors who are trustworthy and talented. 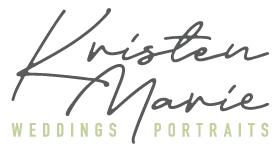 If you're investing in your wedding photography, it's extremely important to invest in other parts of your day such as a credible wedding planner, professional videographers, and licensed hair and makeup artists. Generally, you can expect to receive 75-100 images per hour of wedding photography. That said, all weddings are different and sometimes there will be more or less depending on your plans. I never put a max limit the number of images - you will get every memory from your day!